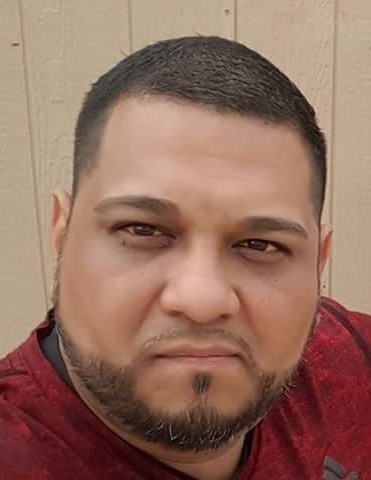 LA VILLA – Marco Antonio Ramirez, 41, passed away Monday, September 10, 2018 in Lubbock, TX. He was born November 1, 1976 to Juan & Maria Lourdes Ramirez in Weslaco, TX. Marco is survived by his wife, Melissa A. Ramirez; sons, Noah Ramirez, Isaac Ramirez, Adam Ramirez, and Marco A. Ramirez; granddaughter, Averie Ramirez; parents, Juan & Maria Lourdes; brothers, Javier (Norma) Ramirez and Horacio Ramirez; paternal grandmother, Juanita Ramirez. He is preceded in death by paternal grandfather, Santana Ramirez; maternal grandparents, Ramon & Ignacia Gonzalez; paternal great-grandfather, Valentin Ramirez; and maternal great-grandfather, Alejo Castro. Viewing will be held Thursday, September 13, 2018 from 1:00 p.m. to 9:00 p.m. with a Holy Rosary at 7:00 p.m. at Cardoza Funeral Home Chapel. Viewing will continue Friday, September 14, 2018 from 8:30 a.m. to 9:30 a.m. at Cardoza Funeral Home Chapel. Funeral Mass will be held at 10:00 a.m. at St. Theresa of the Infant Jesus Catholic Church in Edcouch. Interment will follow at Anahuac Community Cemetery in Edcouch.